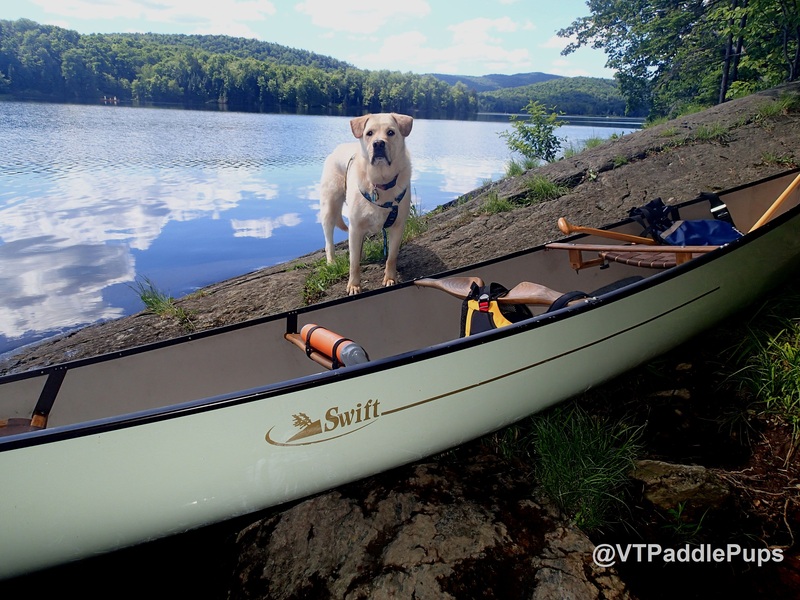 It Doesn’t Get Much Better Than This….. | Vermont Paddle Pups! It Doesn’t Get Much Better Than This….. The Paddle Pups and we took advantage of the most amazing weather we’ve had so far…sunny, and warm, with light winds. 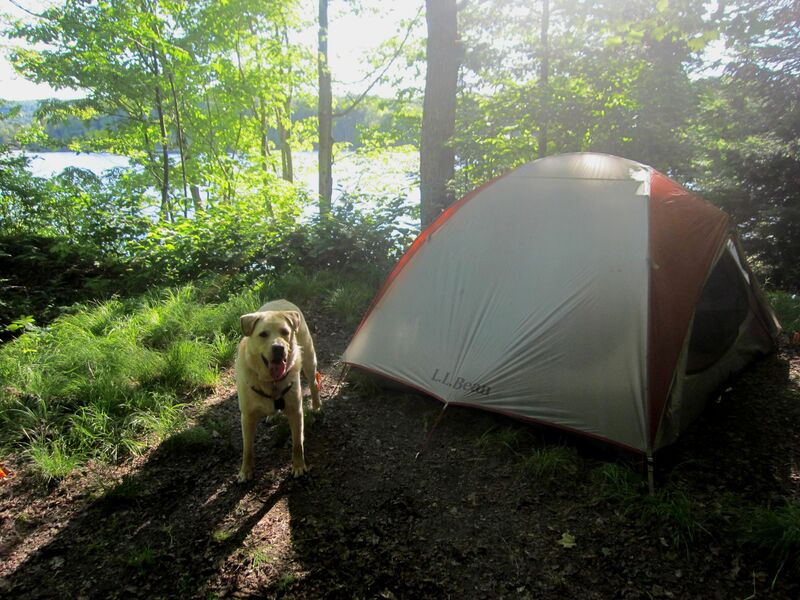 Our destination was one of our favorite local waters…we were anxious to try out a different camping location at the lake. What a delightful few days we had! 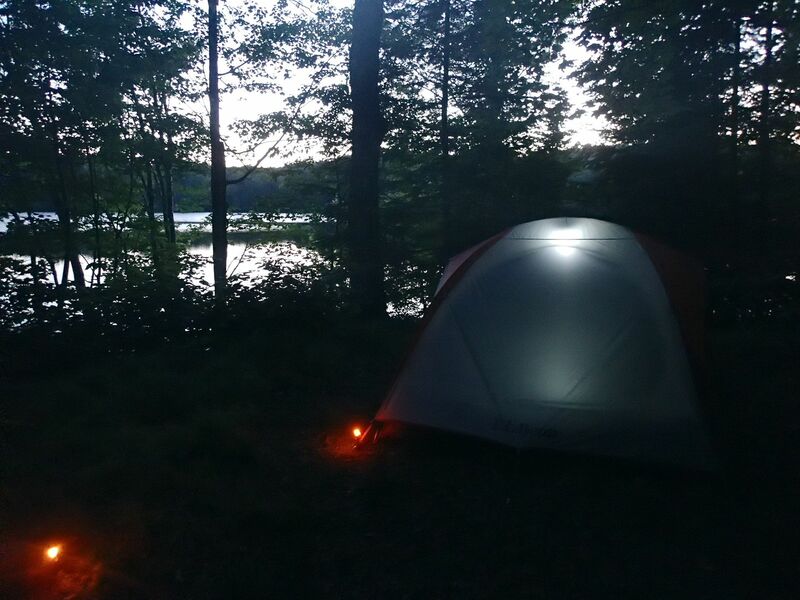 Great canoeing, great company, great campsite…and great observations of Gavia Immer, the Spirit of the Northern Waters (AKA common loon). The camping site is 3 tiers…first tier is water level, with smooth rock for watching the peaceful waters beyond. Climb up the hill 100 feet, and there is a flat. lightly wooded, open sky tent-site, overlooking the water. Another 100 feet up, and there is the fire-pit, more possible tent sites, and flat ground for relaxing. Edgar thinks he is a lap dog, but at 60 lbs, it can be a bit much. 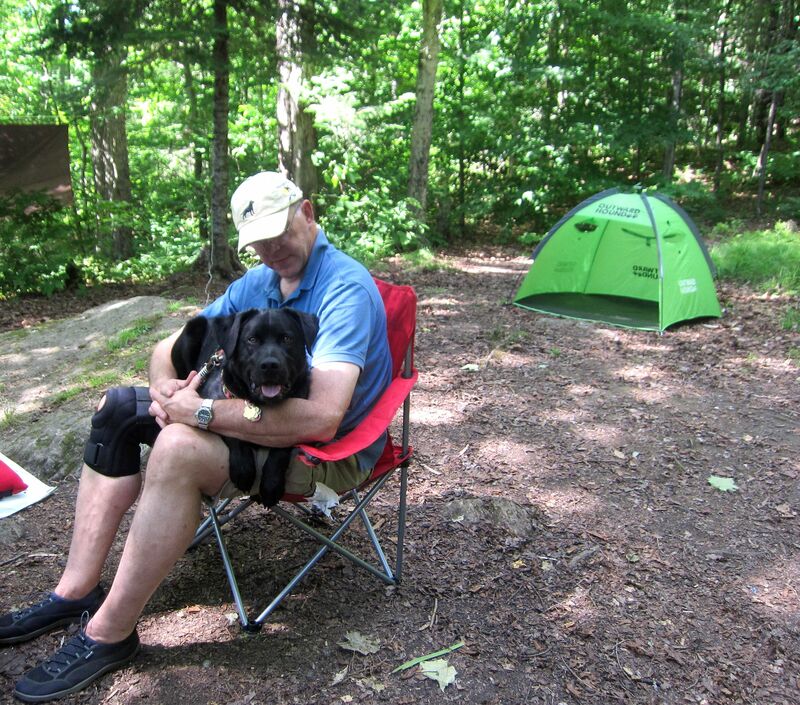 The folding chair is our one luxury item—it will soon be replaced by a Big Agnes Helinox chair. The weather was mild, but after a long day’s paddling, nothing feels as good as the blaze of a campfire. Once it gets dark, Griff will go and stare at the tent door, asking to be let in. 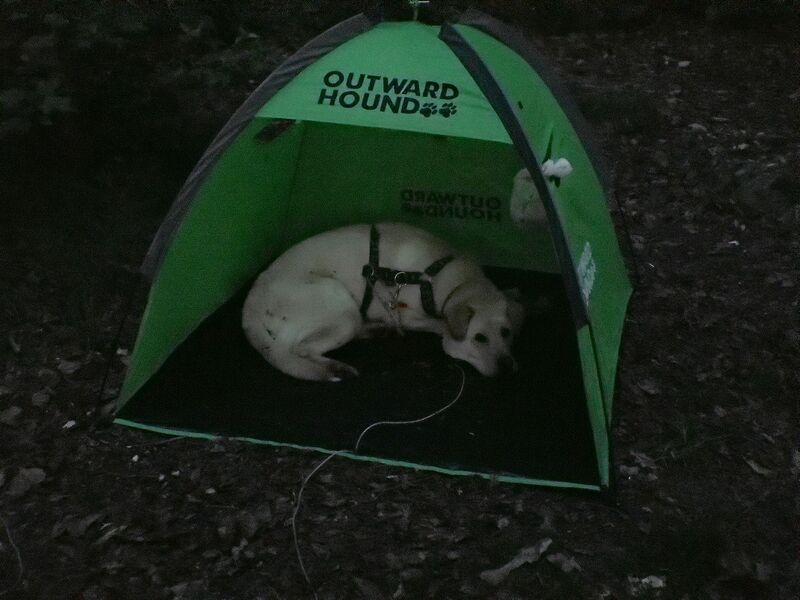 When we have his Outward Hound tent, he will go in that instead, at least until bedtime! Our tent at night, as we wait for the sky to fill with stars. 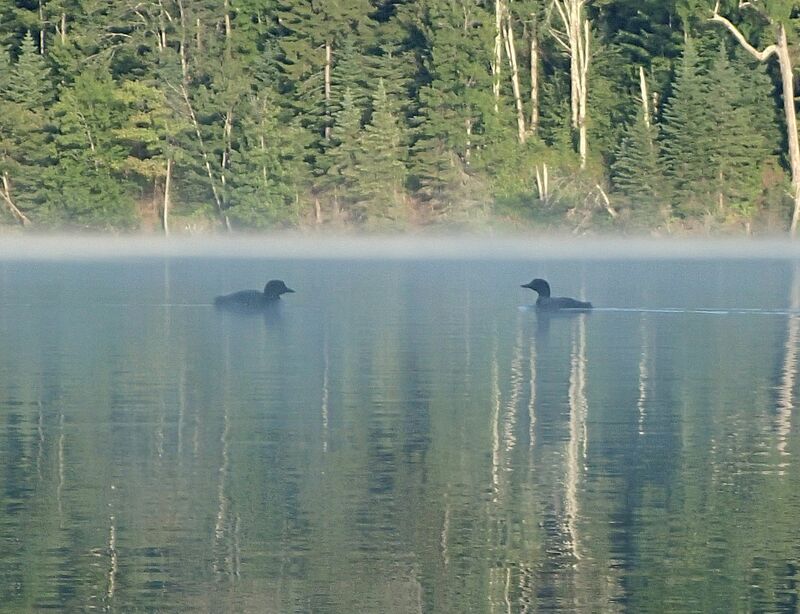 The haunting calls and hoots of the loon families are music unlike any other. 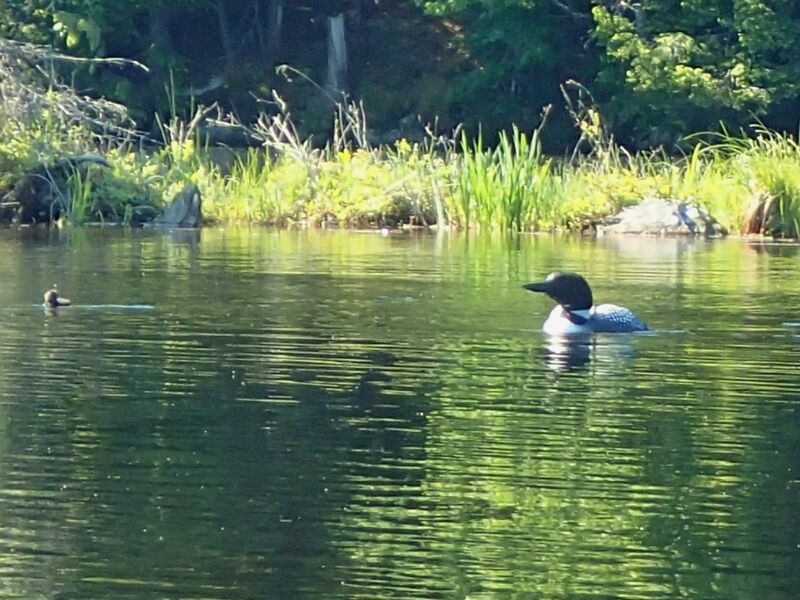 Baby loon chicks…mama and papa loon are never very far away! 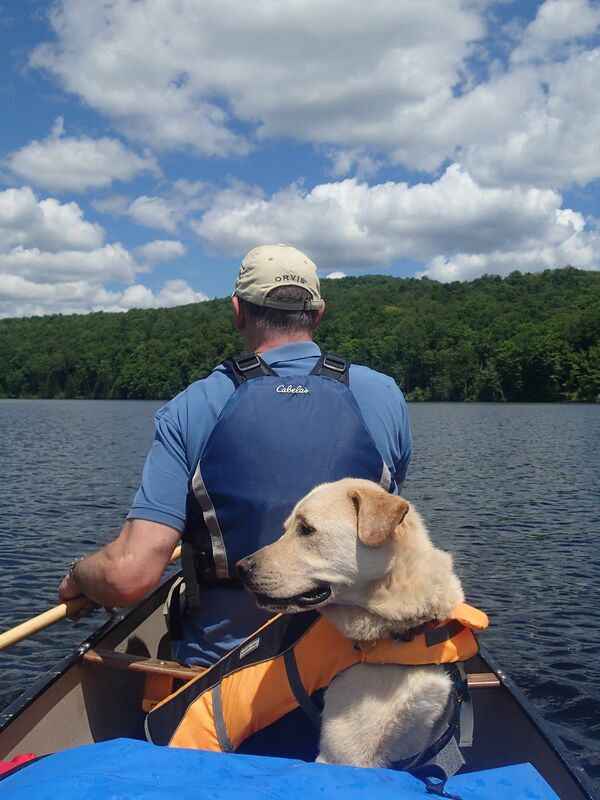 The dogs were enthusiastic, and very well-behaved paddlers on this trip. A little tight on space, when fully loaded…but the dogs acclimate nicely. 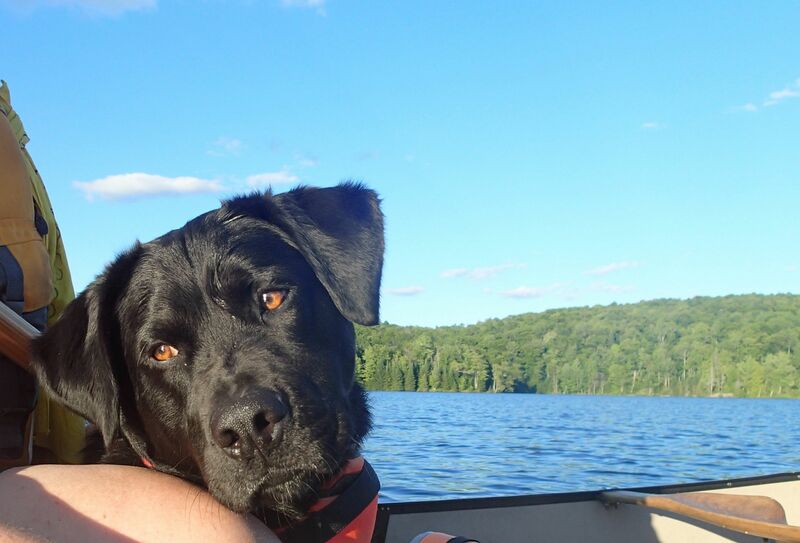 They are getting quite proficient at this canoe camping business! 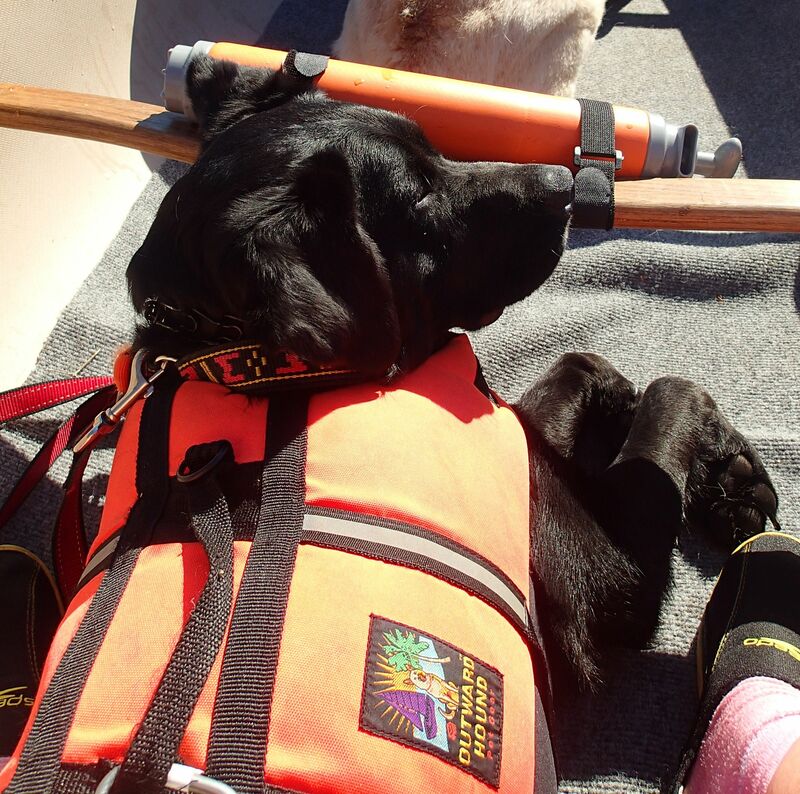 When you are a pooped-pup, even a thwart makes a serviceable pillow. ← Nice Weather in Vermont…Use it or Lose it! 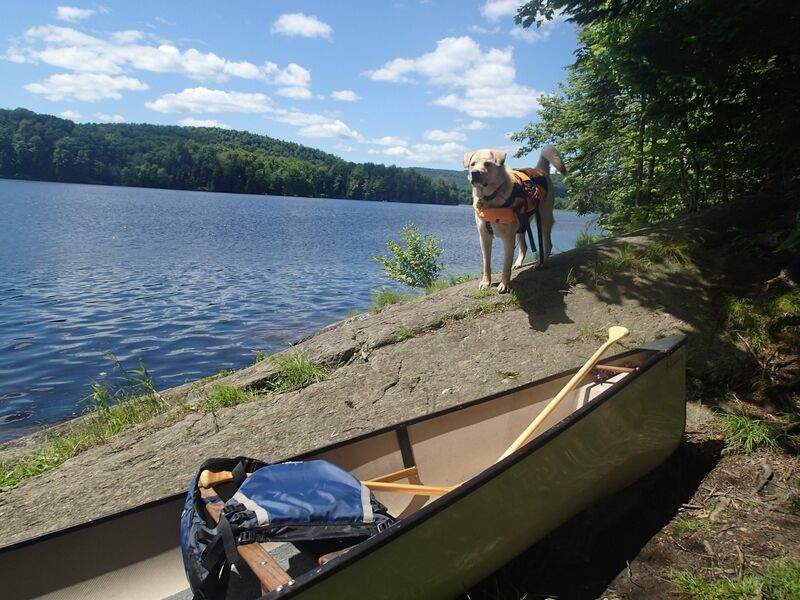 Oh, what a great place for a camp and paddle! 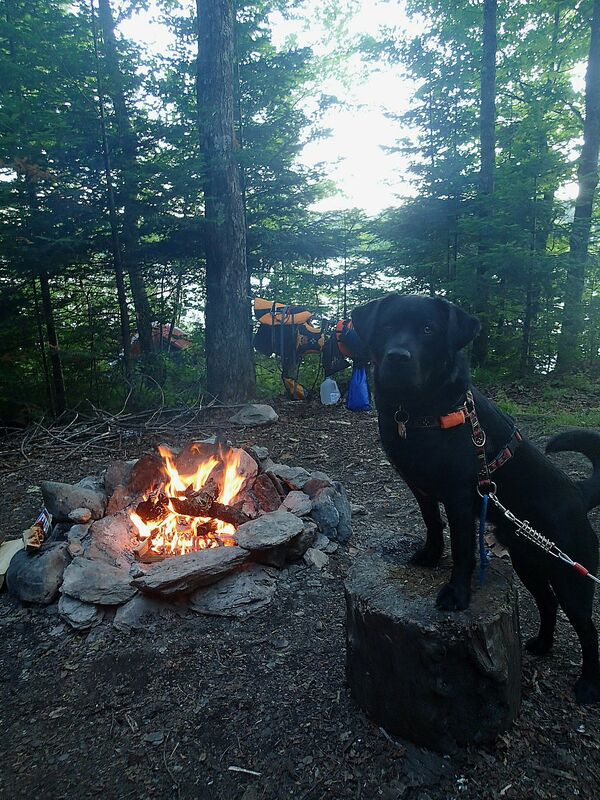 I love a good campfire too and the pup tent (BOL) is perfect!